→Best Holster For Sig P229: Which One To Choose in 2019? Don’t know the best holster to carry your beloved Sig P229 in? There are countless holsters all over the market today bearing the label best holster for sig p229. And this means you’ll take forever to analyze each of them until you get the perfect holster for your gun. Bearing in mind that your Sig P229 is an all-metal semiautomatic gun, you’d want to match it with a top-quality, durable, and comfortable holster. 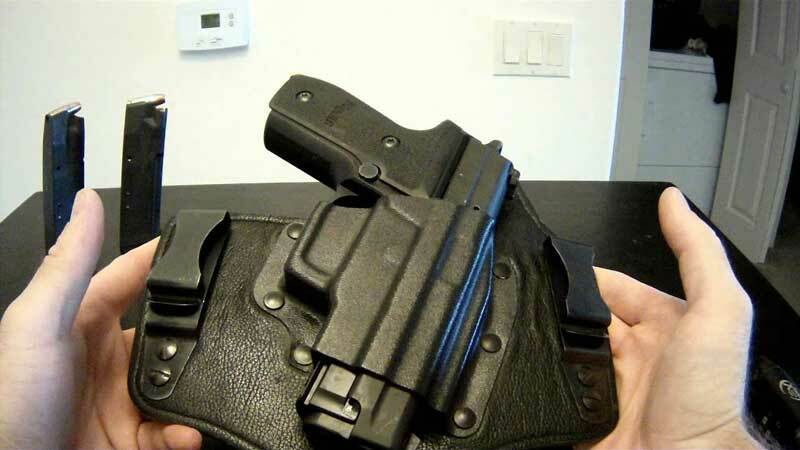 The reason for coming up with this post is to show you the easiest way to get the perfect holster for your firearm. Plus we’ll discuss SIX of the most loved holsters for Sig P229. Let’s get into the details right away. Before you can even attempt to buy any Sig Sauer p229 holster, you first need to understand that there are different types of holsters currently on the market. IWB (inside the waistband) holster: it comes with a belt clip that enables you to securely holster your concealed carry inside your pants. OWB (outside the waistband) holster: used for carrying an open or concealed carry under a coat or jacket. Shoulder holster: conceals your weapon under the arm. Pocket holster: the holster holds your gun within your pocket. It’s designed to cover the trigger and trigger guard of your gun. It also hides your gun outline to prevent printing. Ankle holster: this holster is designed to fit around the ankle, such that it conceals your weapon under a pant leg. Bra holster: as the name suggests, this holster is designed to enable women to carry a concealed carry weapon. Pancake holster: it’s designed for wearing slightly off-hip and to the rear section of your back. It is intended to pull the weapon tight against your body for even better concealment. As you can see, each type of holster has a unique way of carrying. However, they all serve the same purpose of concealing your weapon (in this case the Sig P22). Though the IWB and OWB are the most widely used holsters, I’ll leave the choice of the right holster style for you to you. First up on our best sig p229 holster models, we’ve got the BLACKHAWK! Serpa Sportster Holster. This is a modeled OWB (outside the waistband) holster made using the durable and long-lasting polymer material. The reason this holster appears on this list is because of the way it easily and perfectly it fits the P229 gun, whether you use the rail or not. It employs passive retention, which you can easily adjust to achieve just the perfect draw. It’s also worth mentioning that the gun has a full firing grip which ensures easy drawing as well as immediate retention on re-holstering. This holster isn’t ambidextrous. But the manufacturer compensates for this by making it available in both right-hand and left-hand versions. I also noted that it has no retention features, though you’ll hear an audible click upon properly holstering your firearm. This holster is ideal for carrying both the Sig P228 and P229 guns. For those who don’t know, Safariland has a reputation for manufacturing of top-quality holsters that enable you to carry your firearm the best way. The Safariland 6378 acts as the concealment version of the ALS (automatic locking system) holster series. 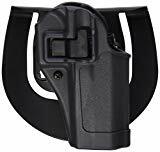 This magical feature works in such a way that whenever you holster the weapon, it locks into place to provide you with the extra security measure not found in the standard holsters. Deactivating the ALS function (with the help of a thumb) facilitates a simple, straight up draw—allowing you to obtain a perfect shooting grip. Another essential feature that makes up this holster revolves around its design. It has an all-new injection molded paddle that’s ultimately concealable. It rides close to your body with a slightly forward gun cant. 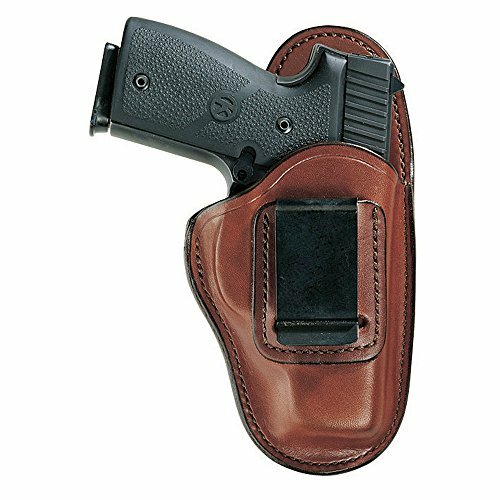 Other noteworthy features of this holster include the standard 567BL belt loop (fits 1.5" to 1.75" belt widths), suede lining for protecting your gun sights and finish, and the Safari-Laminate (with a wraparound design) for maximum durability. We also have this custom made Kydex IWB (inside the waistband) holster for carrying and concealing not only the Sig P229 but also a wide range of other Sig Sauer firearms. 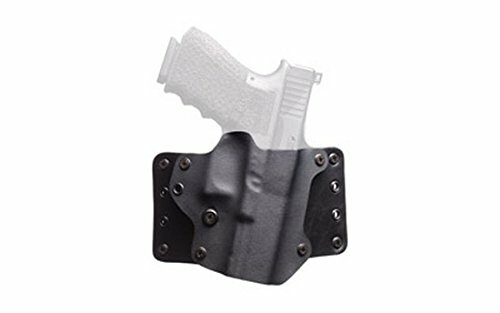 Weighing only 3ounces, this is one of the lightest holsters you can find on the market today. The feather-light design is attributed to the holster’s minimal design, where the manufacturer massively eliminates all the unnecessary bulkiness you’ll see in most holsters. The Kydex holster is designed to fit belt widths of up to 1.5 inches. It presents you with adjustable retention screws to ensure you get a more comfortable fit when carrying this IWB holster. You’ll also love the fact that the belt clip features an easy on/off design so that you don’t have to undress whenever you wish to remove this holster. The full sweat guard built into the holster helps keep your firearm protected from sweat. What’s more, it promotes an easy re-holstering process. Overall, the sig p229 iwb holster will fit your weapon perfectly well and facilitatesmooth draw and holstering. We couldn’t expect less from Badger Concealment, a veteran-owned, used-based company! The 1791 GunLeather Right Hand OWB Leather Gun Holster isn’t just a sig p229 concealed carry holster. It’s a top-quality, incredibly versatile holster that can easily fit a wide range of guns—including the P220, P226, P229, H&K VP9, Beretta 92FS, and even 1911 with Rails. When it comes to the quality, this holster gives you the best! It’s handcrafted using 100% American Steer hide Leather for superior durability/longevity. The leather is then reinforced and double stitched to result in an extremely durable, safe, comfortable, and lightweight gun holster. In addition to protecting you and your gun, this holster is also designed to offer you total concealment and convenience. It has a quick draw design that makes it ideal for every day carry. The OWB’s handcrafted exterior assures you of superior retention at all times. Best of all, it is backed by a lifetime warranty. The manufacturer takes pride in the manufacturing of top-notch holsters that are used by veterans, sportsmen, patriots, and law enforcement all over the world. They guarantee you 100% satisfaction and will offer you no-hassle returns. If you’re looking for a holster with professional and sleek looks, consider investing in this Black Point Tactical Leather Wing OWB Holster. Like our previously discussed holsters, this model also comes designed for optimal durability. It features a combination of leather and Kydex construction which enables it to offer maximum protection to your gun when carrying inside the waistband. Designed for right-hand carry, this holster will also make you feel comfortable while carrying your heavy gun. 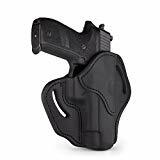 This is made possible by its soft, comfortable backing that delivers the comfort you need when wearing the holster for extended periods of time. Another amazing thing about this holster is its minimalized size. This makes it one of the smallest holsters that easily conceals your gun—as you’d expect from a real IWB holster. Because the holster features two points of attachment, it offers you maximum stability when carrying your gun out there. Overall, Black Point Tactical Leather Wing OWB is one of the best hybrid holsters that you can trust to easily and correctly conceal your gun while facilitating easy and smooth holstering. Last in our Sig Sauer p229 holster reviews, we have the Bianchi 100 Professional Hip Holster. 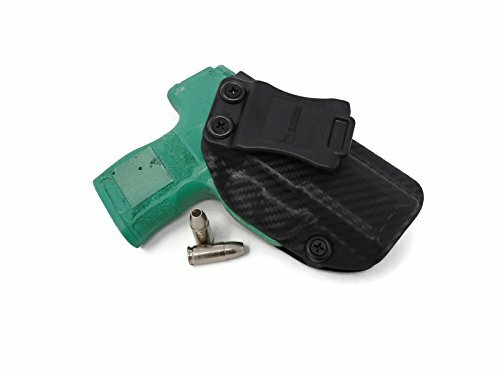 This is an IWB style holster that meets all the set specifications for deep concealment applications. Constructed using premium full grain cowhide, this holster will see you through many years of concealed carry. It comes with a high back design that offers a shield between the sharp edges of your pistol and your body. This not only promotes your comfort but also protects your clothing from getting easily torn. Unlike most of the holster out there, this IWB is also designed to ride at an optimal angle inside your waistband. Needless to explain, this puts it in a better position to allow you to properly grip it for firing. The heavy-duty belt clips made of spring steel offers you an easy on/off convenience, while securely anchoring the holster to your gun belt. 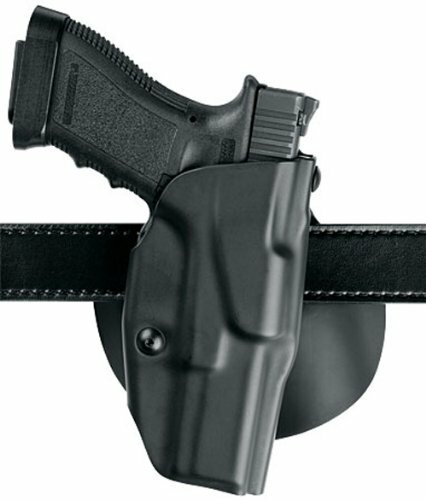 The holster will easily fit belt widths of up to 1.75 in. (45 mm). 1. What should I look for when buying a sig p229 holster? To get the best holster for carrying your gun, you should focus on key features such as the construction quality, proper fit, concealment, smooth draw, comfort, cost, and even aesthetics (if they matter to you). 2. Where should I wear my gun holster? How you wear your holster entirely depends on the style of holster you’re using. Visit our section of types of holster above to see how you should wear different types of holsters. 3. What is the best Sig P229 holster for women? As you’ll know, women have different anatomical differences compared to men. Not to forget the differences in hands, grip strength. As such, special considerations should come into play when picking the right holster for them. Check out the video below that explains the best holsters for women. The Sig P229 is a great weapon for competition, self-defense, or concealed carry. Being an all-metal, durable gun, you’ll need a good-quality, equally strong holster to support it. However, getting the best holster for sig p229 can be a tough ordeal given the many, many holsters saturating the market today. The 6 top sig p229 holsters we’ve discussed above enjoy wild usage among Sig P229 owners. And I urge you to order one of them today to help you carry your gun the best way.